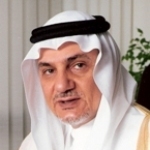 His Royal Highness Prince Turki Al-Faisal served as the Ambassador of the Kingdom of Saudi Arabia to the United States of America from September 2005 until February 2007. His Royal Highness is involved in a number of cultural and social activities. He is one of the founders of the King Faisal Foundation and is the Chairman of the King Faisal Center for Research and Islamic Studies in Riyadh. He is a member of the Board of Trustees of the Center for Contemporary Arab Studies at Georgetown, the Oxford Center for Islamic Studies, and the King Faisal Foundation. He graduated from Lawrenceville School in Lawrenceville, New Jersey. He subsequently pursued an undergraduate degree at Georgetown University in Washington, DC. Head of the Ifri Sub-Saharan Africa program. He works on Mauritania and security issues in the Sahel. 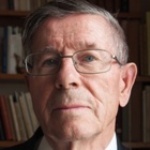 He teaches at the Institut d’Études Politiques of Lille. 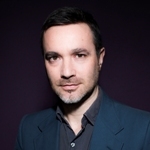 He has been a research fellow at the Institut de recherches internationales et stratégiques in Paris from 2003 to 2004. He holds a PhD in political geography from the University of Rouen. Israeli political scientist. Professor of Political Science at the Hebrew University of Jerusalem and Recurring Visiting Professor at the European University in Budapest. 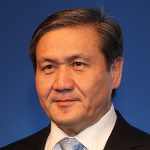 He served as Director-General of Ministry of Foreign Affairs, and was Visiting Professor in various universities. Prize: Tense Award for the Study of Zionism and the Israel Prize, the country’s highest civilian decoration. Indian civil servant and diplomat. Chairman of India’s National Security Board and Chairman of the Delhi Policy Group, an independent think tank. He is the former Indian Ambassador to Pakistan, China and the United States and the former Secretary to the Government of India. 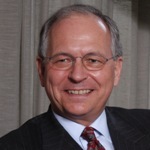 From 1995 to 2000 he was a Senior International Advisor at Merrill Lynch in New York. Senior Fellow for North Africa/Middle East at the French Institute of International Relations (Ifri) and consultant in international relations. 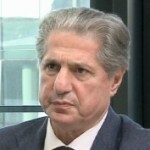 He was formerly President of the Arab World Institute located in Paris (2002-2004). 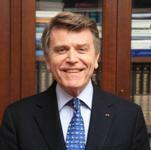 He was Ambassador of France to Canada (1998-2001) and to Jordan (1989-1993). 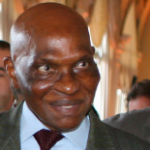 He also served as Financial Counselor at the French Mission to the United Nations (1978-1981). He published or edited several books – La démocratie est-elle soluble dans l’Islam ? 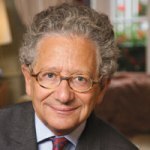 – and writes regularly in Le Monde, Politique Etrangère, Questions internationales, Ramsès. He graduated from Paris Institute of Political Studies. He also attended the École Nationale d’Administration (National School of Administration). Danish politician. Deputy Permanent Secretary in the department of International Policy and Climate Change in the Danish Ministry of Climate and Energy. 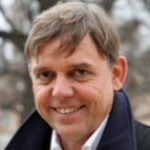 He is leading official appointed by the Danish Government for the preparations of the COP 15 in Copenhagen 2009. He is EU’s Lead Negotiator for the post 2012 negotiations. 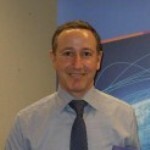 He has previously worked as OECD energy consultant in Paris. Algerian diplomat, jurist and politician. 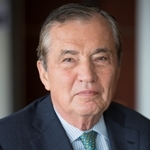 Senior Minister for Foreign Affairs of Algeria; President of the Constitutional Council of Algeria; Judge and President of the International Court of Justice; Ambassador of Algeria to United Nations New York; Ambassador to France and to UNESCO; Minister of Justice, Keeper of the Seals; Secretary General of the Government. Director of the Centre for Migrations and Citizenship at the French Institute of International Relations (Ifri). He was a Marie Curie Research Fellow at the University of Warwick (UK) between 2001 and 2003, and a visiting fellow at the New York University (2009), the Institute for Advanced Studies-Collegium in Lyon (2010), and the Max Planck Institute for the Study of Ethnic and Religious Diversity (2015). 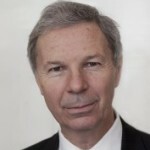 He gained his PhD in Political Sciences in 2000 at the Institute of Political Studies in Aix-en-Provence (France) and his Habilitation (HDR) at Sciences Po Paris in 2013. 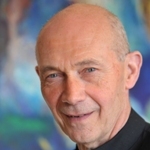 He is one of the editors of the book European States and their Muslim Citizens (Cambridge University Press, 2013) and the author of La citoyenneté à la française (Editions du CNRS, 2016). Indian specialist on international security and arm control issues. Professor of Strategic Studies at the New Delhi-based Centre for Policy Research, a private think-tank. He was a Member of the Policy Advisory Group headed by the Foreign Minister of India, and an adviser to National Security Council, as convener of the External Security Group and member of the Nuclear Doctrine Group. French relief worker. Former Executive Director of ACF (Action contre la Faim, “Action against Hunger”), an international NGO. 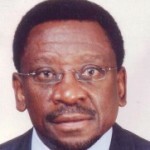 In ACF, he has been Financial Director, then member of the organization’s Board of Trustees, then Vice President, and lastly, Deputy Executive Director at the Executive Board. He held from the position of Financial Director of UCPA and of General Secretary of IFAS. Specialist of criminal finance. Independent Consultant and Director of C3COM, a consultancy firm addressing non-military threats. She has worked as an investment banker before joining the United Nations Office on Drug and Crime. 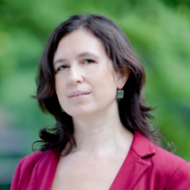 She also teaches criminal finance at the Research Department on Contemporary Criminal Threats (Institute of Criminology – Paris-II). Director of Ifri’s Security Studies Center, and an analyst of strategic and military affairs. 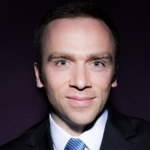 He is also Assistant Professor at the Institut d’Etudes Politiques de Paris (IEP-Sciences Po). He has taught International Relations and Security Studies at the Université Jean Moulin – Lyon-III, at the Ecole Spéciale Militaire de Saint-Cyr Coëtquidan and at the Collège Interarmées de Défense. Head of the UN Office for Disaster Risk Reduction (UNISDR). Former Secretary General of CARE International, one of the world’s largest humanitarian NGOs, with over 15,000 employees operating in over 60 countries. 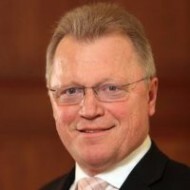 He was previously Chief Executive of CARE Australia, Assistant Director General of the Australian Agency for International Development (AusAID), and a Research Fellow at the University of California. Expert on the economy of the former Soviet Union. Professor of Russian Economics, Emeritus at Wellesley College. 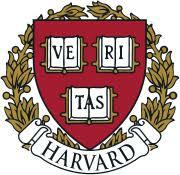 Senior Scholar at the Davis Centre for Russian Studies at Harvard University where he was the Associate Director. 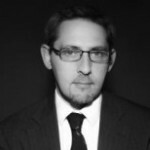 He has been a consultant to the State Department, the Environmental Protection Agency, the Council on Environmental Quality and numerous corporations. Member of the United Nations International Law Commission (2012-2016) where he is a Special Rapporteur on the Provisional Application of Treaties. He has been a member of the Mexican Foreign Service since 1988. Former Deputy Foreign Minister for Multilateral Affairs and Human Rights of Mexico (2006-2015). 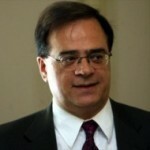 Formerly, he served as Deputy Permanent Representative at the Permanent Mission of Mexico to the United States (2004-2006), Legal Counsellor of the Mexican Foreign Affairs Ministry (2000-2004) and as Deputy Permanent Representative at the Permanent Mission to the Organization of American States (1998-2000). He graduated in Law from the University Paris I and the University Paris X and in International Relations from the Institut d’Études Politiques of Paris. French diplomat. Member of the United Nation’s Secretary-Generals Advisory Board on disarmament matters and high-ranking adviser at the French Audit Office. Former Under Secretary-General for Peacekeeping Operations at the UN. High functions at the French Ministry of Foreign Affairs and at the French Embassy in the US. Ambassador to the Western European Union. Greek economist. 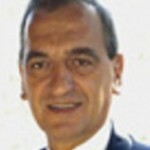 Professor at the Department of Banking and Financial Management, University of Piraeus, Greece. Chief economist at the Eurobank EFG and Research Fellow at the Centre for Economic Policy Research, London. 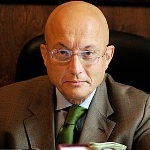 He was Director of the Economic Office of the Greek Prime Minister Costas Simitis and Research Adviser and Economist, Federal Reserve Bank of New York, USA. 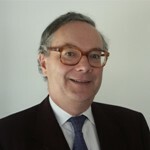 Director of publications at the French Institute of International Relations (Ifri) and editor-in-chief of Politique étrangère. He holds a PhD in political science from University Paris 1 Panthéon-Sorbonne and teaches a course on terrorism at Sciences Po. 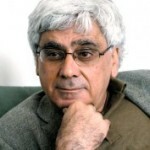 He published several books including Intifada française? (Ellipses, 2012) and War 2.0: Irregular Warfare in the Information Age (Praeger, 2009 with Thomas Rid; translated in Chinese in 2011). 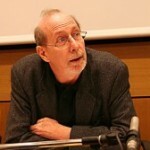 His articles appeared in major journals (Policy Review, Internationale Politik, Commentaire, Etudes, etc.). American political scientist. Distinguished Scholar at the CSIS after beeing Director of the “Islam” Programme. Visiting professor of Islamic Studies at the Georgetown University. She was Head of the Mediterranean program at the Centre For European Policy Studies, Brussels (1994-1998). Fourth President of Estonia. He is a former Diplomat and Journalist, was the leader of the Social Democratic Party (Estonia) in the 1990s and later a member of the European Parliament. He was elected to the post by an electoral college on 23 September 2006 and his term as President began on 9 October 2006. 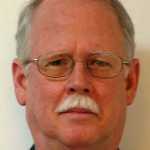 He grew up in the United States and graduated from Leonia High School in Leonia, New Jersey in 1972 as Valedictorian. He received a bachelor’s degree in Psychology from Columbia College of Columbia University and a master’s degree in the same subject from the University of Pennsylvania. German diplomat. 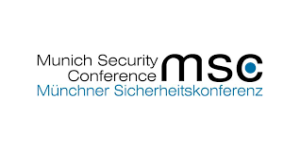 Chairman of the Munich Security Conference (Wehrkunde). 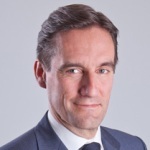 Also Global Head of Government Relations, Allianz SE. He was German Ambassador to the Court of St. James’ (United Kingdom) and to the USA. He was the EU’s Representative in the Troika negotiations on the future of Kosovo and State Secretary at the German Foreign Office. 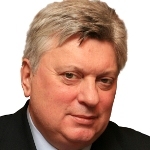 President of the Russian International Affairs Council since 2011. 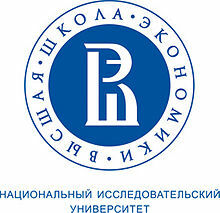 Professor at Moscow State Institute of International Relations (MGIMO) since 2007. 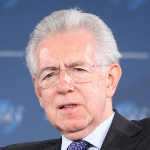 Previously he served as Minister of Foreign Affairs, from 1998 to 2004, and as Secretary of the Security Council of the Russian Federation, from 2004 to 2007. Minister Ivanov holds the diplomatic rank of Ambassador Extraordinary and Plenipotentiary. 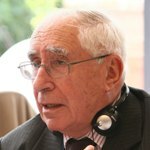 He represented the USSR and then Russia as Ambassador to Spain. 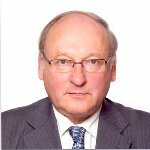 He has also worked as a researcher at the Institute of World Economy and International Relations (IMEMO), Academy of Sciences of USSR. He graduated from the Maurice Thorez Moscow State Pedagogical Institute of Foreign Languages, has a Ph.D. in history, and is a corresponding member of the Russian Academy of Sciences. 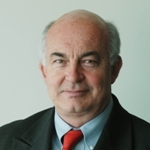 Program Manager of the “Energy” program at Ifri from 2006 to 2014. She was a Visiting Fellow at the Centre Français sur les Etats-Unis (CFE/IFRI) while working at the Center for Strategic and International Studies (CSIS) in Washington DC, focusing on space policy issues within the Homeland Security program. 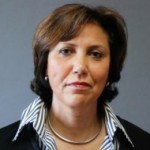 Co-founder and Executive Director of the Arab Reform Initiative since 2005. She served as senior adviser on international cooperation at the French National Research Council (2007-2009). 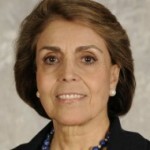 She was Senior Program Officer for Governance and International Cooperation at the Ford Foundation office for the Middle East and North Africa in Cairo (1998-2005). In 2011, she was Head of Foreign Relations and spokesperson with the Syrian National Council. In 2016, she joined the delegation of the democratic opposition in the Geneva peace talks on Syria. 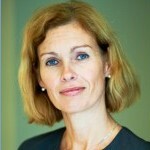 She serves on the advisory Board of the European Council on Foreign Relations. She holds a PhD in Political Science from Sciences-Po, Paris. 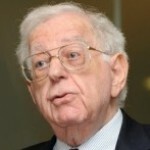 Honorary President of Notre Europe-Jacques Delors Institute. 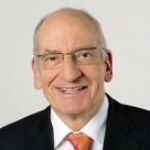 Former Director-General of the World Trade Organisation (WTO) (2005-2013). He began his career in the French civil service at the Inspection générale des finances and at the Treasury. He was Chief of staff for the President of the European Commission, Jacques Delors, and his representative as Sherpa in the G7 (1985-1994). 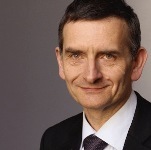 He served as CEO of the bank Credit Lyonnais until its privatization in 1999. 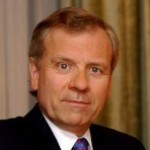 He served as Commissioner for Trade at the European Commission (1999-2004). He holds degrees from the Paris based École des hautes études commerciales (HEC), from the Institut d’études politiques (IEP) and from the École nationale d’administration (ENA). Head of the program “Health and Environment: from Security and Safety Issues to New Governance Options” and researcher at the Defense Research Unit (LRD) at Ifri. She contributes to Ifri’s foresight projects on future conflicts and investigates the issues of stabilization and post-conflict resolution in the African continent. Member of the supervisory board at Naftogaz of Ukraine. 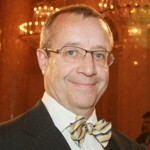 Former Senior Executive Vice-President of EDF and member of the newly set-up EDF’s Group Management Committee. 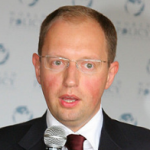 He was Deputy Chief Financial Officer of EDF in charge of treasury, financing and M&A. 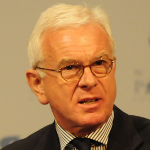 He was Chairman & CEO of London Electricity plc, which he developed into what became EDF Energy plc. He was Director of EDF Generation and Engineering. In charge of the development of the EDF’s group gas businesses, he negotiated the cooperation agreement signed with Gazprom. 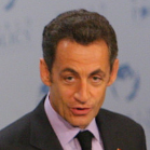 He graduated in Engineering (Ecole Polytechnique, Paris), in Economics (Ecole Nationale de la Statistique et de l’Administration Economique) and in Political Science (IEP, Paris). French industrialist and economist. Founder member of the Académie des technologies (France). President of the Scientific Committee of the Energy Program at Ifri. 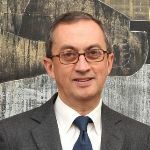 He was Head of the Economic Department of Charbonnages de France (1954- 1957), CEO of the Sema group (1958-1975), Director of the OECD Interfutures Project (1976-1979), Head of the Department of Economics at Conservatoire National des Arts et Métiers (CNAM), Paris (1976-1996), Director of Le Monde (1991-1994). He graduated from the Ecole polytechnique and the Ecole des mines de Paris. Fellow at Ifri, specialist in European Security issues. Her research on the European Union and its neighbours is funded by a Fellowship from the European Commission. She is also Senior Lecturer in European Security at the University of Birmingham, UK. 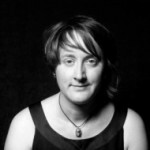 She has written and contributed to numerous academic and practitioner publications. Researcher at Ifri in charge of the “India and South Asia” program, and of the “French Presidency of the European Union” program. Before, at the ministry of Economy and Finances, Minister Advisor for Economic Affairs, head of the Economic Mission in various embassies, in Pakistan, South Africa, Saudi Arabia, Moscow, London, Algiers, New Delhi and Warsaw. Leroy B. Williams Research Professor of History and Political Science, Harvard University. 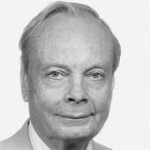 He was Director of the Fairbank Center for East Asian Research, and Chair of the Government Department. He was the founding editor of “The China Quarterly”, and has been a fellow at Columbia University, the Woodrow Wilson International Center for Scholars, and the Royal Institute for International Affairs. In previous personae, he has been a journalist, a TV commentator, and a Member of Parliament. 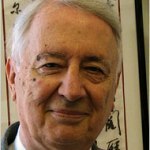 His most recent books are Mao’s Last Revolution (jointly-authored; Harvard, 2006) and The Politics of China: Sixty Years of the People’s Republic of China (editor; Cambridge, 2011). 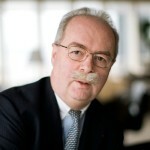 Former Chairman and Chief Executive Officer of Total. He joined Total in 1974 where he served in several positions in the Group’s Finance Department and Exploration & Production division. He became President of Total Middle East in 1995. 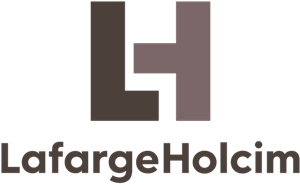 In 2000, he was appointed Senior Executive Vice President of the Exploration & Production division of the newly created TotalFinaElf group which was renamed Total in 2003. 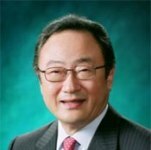 In 2002, he became President of its Exploration & Production division. 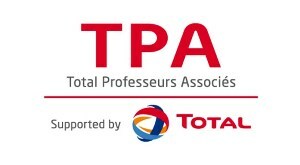 In May 2006, he was appointed a member of the Board of Directors of Total and in 2007, he became Chief Executive Officer of Total, chairing its Executive Committee. He graduated from the Ecole Supérieure de Commerce de Paris, a French business school. 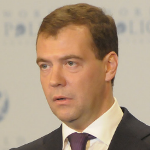 Prime Minister of the Federation of Russia since 2012. 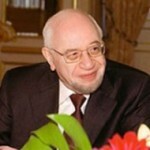 Former President of the Federation of Russia. Research Fellow, Head the “North Africa” program at Ifri, she represents Ifri in the European Commission’s Ramsés2 Network. She also follows up the questions related to the integration of muslim populations in Europe. 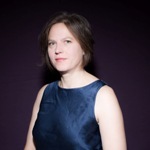 She is lecturer at IEP Paris within the framework of the Compared Policy Master, at IISMM (EHESS) and at the Venice Ca’ Foscari University. Economist and Advisor at Ifri for the Franco-Austrian Center for European Convergence. 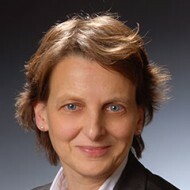 She was Professor at IEP (Paris) and she has held various high positions in public administration (Administrator at INSEE, Financial Advisor for Central Europe at the head office of the Treasury, member of the Social and Economy Council) and in private sector (Administrator of Crédit du Nord bank and of the Ain Regional Bank). Head of the Ifri program on North America. She edits its online research papers, such as the U.S.-focused Potomac Papers. 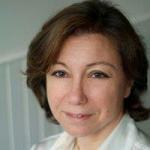 She writes on northern American and transatlantic issues in the annual Ifri report Ramses. She also teaches a class on Civil Society in the United States at Institut d’Etudes Politiques de Paris and is a columnnist for the weekly paper Réforme. Prior to joining Ifri, she was a research fellow at the Ecole des Hautes Etudes en Sciences Sociales (EHESS), then a Visiting Fellow at the Center for Strategic and International Studies (CSIS) in Washington, DC (2001-2003). 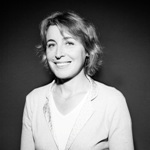 She holds a Ph.D. in political science from Université Paris-1 Panthéon-Sorbonne. Director of the Center for Asian Studies, Ifri. 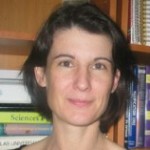 She has been an assistant Professor in international economics at the University of Paris-Est since 1993. 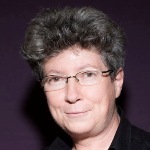 She also teaches at Langues’ O, Sciences Po (Paris) and Sciences Po (Lyon). In the past she taught at the Graduate Institute of International Studies (GIIS, Geneva), at the École Nationale des Ponts et Chaussées, as well as at the HEC School of Management. She also worked as a consultant to the Directorate for Financial, Fiscal and Enterprise Affairs of the OECD (1997-1999 and 2010-2011). 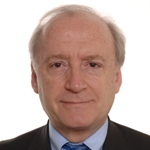 Head of Ifri-Brussels, Senior Research Fellow with the Ifri “European Governance and Geopolitics of Energy” program. Teacher at the IEP of Paris. Previously, Head of the Eastern Europe department at the Böell foundation, Berlin, Teaching Assistant of the DAAD at the IEHEI of Nice. Researcher at the Berlin Free University, at the CERI and at the IRIS. Senior Research Fellow, Director of the Asia Centre at Ifri where she built new research programs on China, India and Japan. Specialist of international relations and defence policies in Asia, and of the Chinese strategic thought. Professor at the CollÃ¨ge InterarmÃ©e de DÃ©fense (CID-Ecole militaire) where she teaches the geopolitics of China. She was lecturer at the Ecole Pratique des Hautes Etudes. Palestinian academic. Professor of Islamic Philosophy, President, Al-Quds University. Chair in “Freedom of Expression” at the UNESCO. 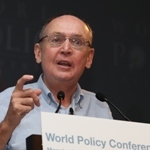 Former Co-Chairman, Israeli-Palestinian Science Organization (IPSO) and PLO representative in Jerusalem. Previously, Fellow at Harvard University, and Assistant Professor, Philosophy Cultural Studies, at Birzeit University. 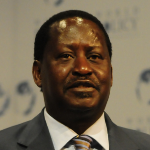 Former Prime minister of the Republic of Kenya. German political scientist, specialist of Middle East. Chairman and Director of the German Institute for International and Security Affairs (SWP), in Berlin. From 1992 to 2005, he headed the Middle East and Africa Research Unit at the SWP. He taught at the American University of Beirut and at those of Duisburg, Münster and Munich. He teaches at Humboldt University Berlin. 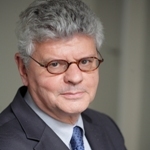 Professor at Hertie School of Governance (Berlin) and at Sciences Po Paris. 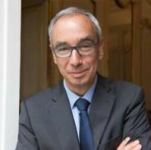 Previously, he served as French Commissioner General for Policy Planning (2013-2016), Director of Bruegel, the Brussels-based economic think tank (2005-2013), Deputy Chairman of the French Economic Analysis Council (2001-2002), Senior Economic Adviser to the French Minister of Finance (1997-2000), Director of CEPII, the French institute for international economics (1992-1997). He is an engineer from the Ecole Supérieure d’Electricité, Paris. He also holds a master’s degree in mathematics and an advanced degree in economics from the Centre d’études des programmes économiques (CEPE, Paris). 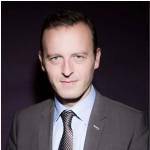 In the first half of 2017, he contributed to the campaign of Emmanuel Macron as Director of the Programme and Ideas Division. French political scientist. 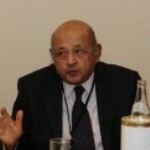 CNRS Senior Fellow at the Centre for Indian and South Asian Studies (CEIAS), at the School for Advanced Studies in Social Sciences (EHESS Paris). 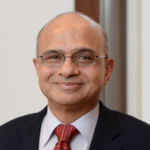 He works on the internal dynamics of change in India and India-Pakistan relations. 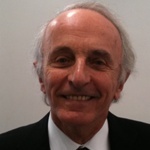 Professor at the EHESS and at the French Institute of Geopolitics of Paris-VIII. Founder of the French journal Transcontinentales. German political scientist, specialist of China and of International Relations in Asia-Pacific. 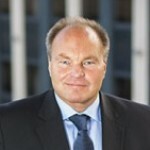 Otto-Wolff-Director of the Research Institute of the German Council on Foreign Relations (DGAP). 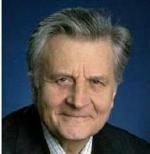 He held a position as Professor for International Relations in Mainz, and at Free University Berlin. He served as Dean of the Faculty for Political and Social Sciences at Free University. Japanese politician and diplomat. President of the Japan Institute of International Affairs in Tokyo. Member of the National Public Safety Commission. 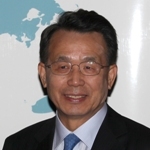 Permanent Representative of Japan to the United Nations. Ambassador of Japan to the Netherlands and to Australia. 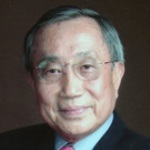 He was Private Secretary to Foreign Minister Sunao Sonoda and Research Associate at the IISS. Head of the Turkey / Middle East program at the French Institute of International Relations (Ifri). She joined Ifri in 2002 to work on the European policies in the Mediterranean region and in the Middle East, on the regional political and economic dynamics and on the Arab policy of France. She started the “Contemporary Turkey” research program in 2008, to follow the emergence of Turkey as a global power. Her present research focuses on Turkish diplomacy, new regional conflicts and their impact on Middle East economies. She directed a book on La Turquie au Moyen-Orient : une puissance régionale ? [Turkey in the Middle East: a regional power ? ], published by CNRS éditions in december 2011. She graduated from Sciences Po Paris. She holds a postgraduate degree in applied economics and a PhD in political science. 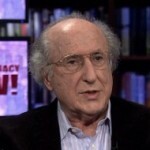 American nonfiction writer and a journalist specializing in the Middle East policy towards Israel. President of the “U.S./Middle East Project” (USMEP), established by the think tank Council on Foreign Relations. Research Professor at the “Sir Joseph Hotung Middle East” program of the University of London. Former Executive Director of the American Jewish Congress. Secretary General of the Study Committee for Franco-German Relations (Cerfa), Ifri. 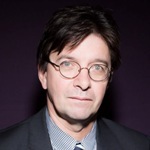 He has been professor of contemporary German civilization at Paris-Sorbonne University since 2012 after teaching at New Sorbonne University from 2005 to 2012 as senior lecturer. 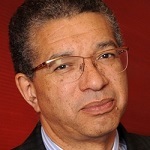 He graduated from the Institut d’études politiques de Paris (SciencesPo) in 1987, majoring in International Relations. Furthermore, he holds a Diplôme d’études approfondies (DEA) in Soviet and Eastern European Studies from SciencesPo (1990) and a PhD in political sciences from Panthéon-Sorbonne University (2001). Former President of the Republic of Serbia. Psychologist by profession, he is a leader of the Democratic Party (Serbia). 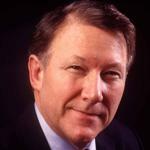 He was elected to a four-year term on June 27, 2004 and re-elected for a de facto second four-year term on February 3, 2008. 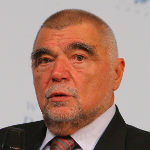 Prior to Presidency, he served as the last Minister of Telecommunications of the Federal Republic of Yugoslavia and as the first Minister of Defence of Serbia and Montenegro. He graduated from the University of Belgrade University of Belgrade Faculty of Philosophy with a degree in psychology, specifically Social psychology (psychology) in the department of Clinical psychology. Senior Fellow and co-founder of the Centre for Strategic and International Studies (CSIS), and Vice Chairman of the Board of Trustees of CSIS Foundation, Jakarta. He is Vice Chair of the Indonesian National Committee for the Pacific Economic Cooperation Council (INCPEC), Co-Chair of the Pacific Economic Cooperation Council (PECC) from 2009-2015, and Co-Chair of the Council of Security Cooperation in Asia Pacific (CSCAP), Indonesia. Publisher of The Jakarta Post Daily as well as Chairman of the Board of the Prasetiya Mulya University, Jakarta. Former Prime minister of Ukraine and President of the Ukranian Parliament. American professor, expert in international relations, Africa and Middle East. 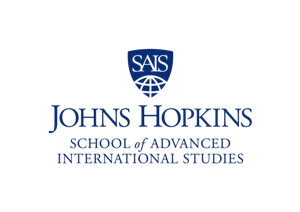 Professor at the Johns Hopkins University in Washington, where he was before Director of Conflict Management and African Studies programs. 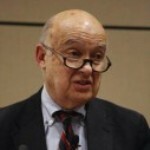 He was consultant to the U.S. Department of State, President of the Middle East Studies Association and of the American Institute for Maghrib Studies.